sweet Archives | Food blog! Frozen Lemonade Flavor and Recipe! 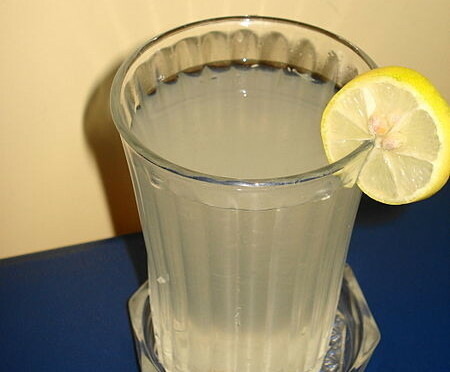 What makes for a good lemonade flavor? The best lemonade should be slightly sour in flavor, and sweetened only enough to reduce it from being sour enough to make your face cringe. In other words, lemonade should not be very very sweet…err on the side of being sour. As for Frozen lemonade, keep in mind that you drink frozen lemonade when it is hot, so you want it to be refreshing. If you make it too sweet, you’ll be dissatisfied with it, and you’ll want water. Therefore, you want to keep frozen lemonade slightly sour in flavor as well. approx. 1 cup of lemon juice, 3 cups of crushed ice, 3/4 cup of sugar, 3/4 cup of water. Put in the blender and blend!